Tori Christ was hired as an assistant coach and goalkeeper coach at her alma mater in March 2017. A goalkeeper and two-year captain, Christ wrapped up her Big Red career with a 3-1-1 record, 1.06 goals-against average and two shutouts in her final collegiate season in 2013. As the team’s undisputed starting keeper in 2012, she had 88 saves – which was the highest total among Ivy League competitors and was the 11th-highest single-season total in Big Red program history. 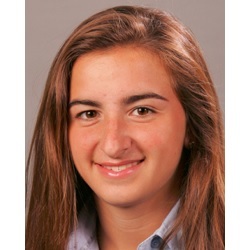 The following spring, she earned a spot on the reserve team for the Boston Breakers of the National Women’s Soccer League. The squad finished its season undefeated. After her time with the Breakers, Christ was recruited from a showcase event stateside to play the 2015 season about with Västerås BK30 in Sweden. She then played the 2016 season with Rovaniemen Palloseura in the Finnish Premier League. 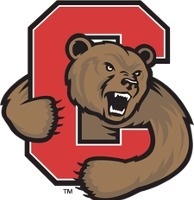 Despite seeing only two years of significant playing time with the Big Red, Christ is the program’s only three-time winner of the Randy May Coaches’ Award, which is given to the player who best demonstrates the spirit and dedication to Cornell soccer shown by Randy May, the first head coach of the program. She also received the Inspirational Player Award following her senior season. Christ served on the Executive Boards of Red Key Athlete Honor Society and the Student Athlete Advisory Council. She was also inducted into the Sphinx Head Senior Honor Society.